Well, we're back home and all safe and sound. We'll sure miss the warm weather and very minimal snow Calgary had, but city people we are not. So busy! Wanted to share the lovely, winter view though we had from our hotel room yesterday at the Delta Bessborough, Saskatoon. Was like a giant skating rink out there as you can see from my view that day. If you happen to be in Saskatoon, Sask. and looking for a hotel with a nice view, this one has it- but you will need to request the king room, with the river view in the corner ( room 501). The staff here is also extremely attentive, and rooms are very reasonable. While is Saskatoon, I always like to pick up a book if something catches my eye, for the long, 5 1/2 hour trip home. 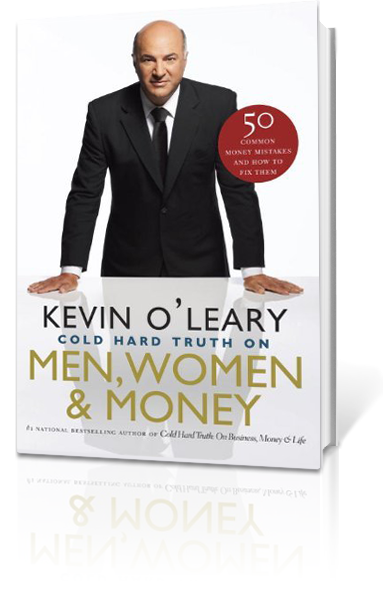 I came across a new to me book called: Cold Hard Truth On Men, Women & Money by Kevin O'Leary. And not that I am endorsing the book in any way, but it is well worth reading. I am still into it, but Kevin offers a great deal of useful information, and this is an easy read book. Great writing style, and you come to see that even though he has money, he is indeed mindful of his money. On a final note, we've decided to start saving our bottles and cans and taking them in for cash. We've always recycled them, but dropped off at our local recycling centre, which sends them in for their own profits. ( We don't have a depot here where we can actually go and take them in. There is one in Prince Albert, Sk., near where we drop off Jakey when he goes to the kennels, so we thought we should just save them and take them in ourselves.) I decided that after buying a case of 24 water in Prince Albert, on our way home, and having to pay an extra $2.40 on the case. ( And yes, I buy bottled water- as our tap water here, even with a filter bothers my already sensitive stomach). Thanks, Monique. Just placed a hold on the book at my local library, it does look like an interesting read. Thanks for the tip on that book, it looks quite interesting. Also, taking those bottles and cans in regularly can add up to some worthy cash. Its important to find a convenient place in your home to stash them until you take them in.